We offer live music outside on the back deck on the weekends and special holidays (seasonal - spring/summer/fall.) Call for more detailed information. 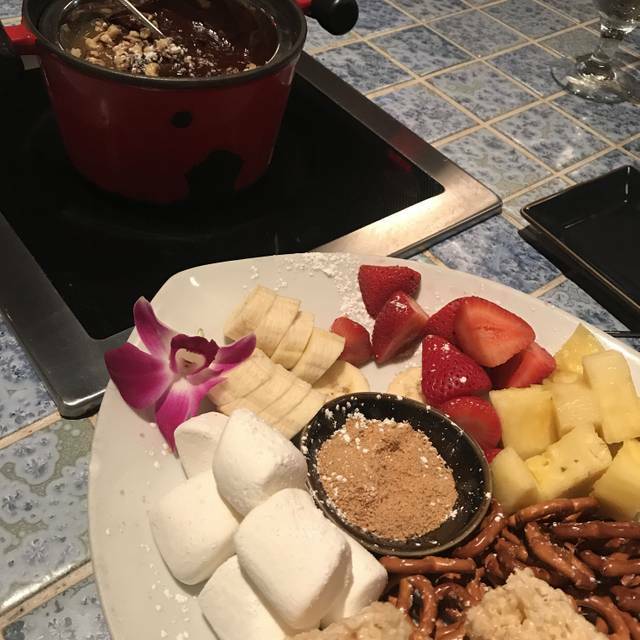 The Little Dipper offers onsite preparation of cheese fondue appetizers, a chocolate fondue fountain with fruits and sweets for dipping and other party platter appetizers. 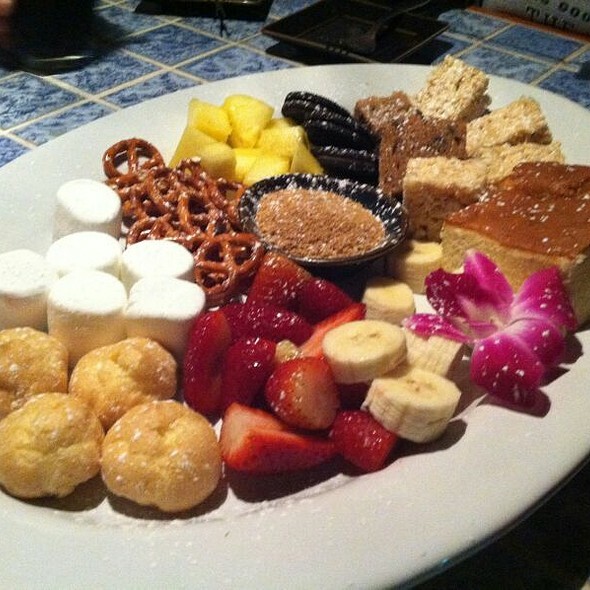 Fondue is our specialty although our Chef enjoys creating special dishes for parties and other occasions. We have special party platters to accommodate both large and small parties including an assortment of meats, seafood and vegetarian choices. 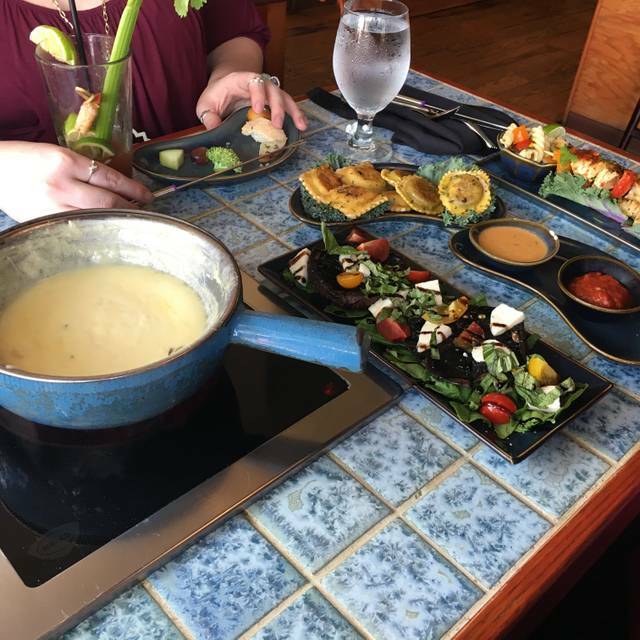 An experience you won't find at any other restaurant in Wilmington - unique, bold and fun...Fondue! The Little Dipper's menu consists of premium meats, fresh seafood, vegetables and homemade sauces for dipping. Dip organic bread into hot melted cheddar cheese with beer, garlic and spices, prepared tableside by your server. Indulge in blackened filet with a warm au pouivre, sashimi grade tuna dipped in Asian ginger sauce or shrimp drenched in wasabi lime aioli. For dessert don't pass up strawberries dipped in milk chocolate, or bananas dipped in warm dark chocolate blended with smooth peanut butter. The dining environment is casual and hip with bright colors and rich cherry wood. Each table is handmade with built-in electric burners where the guests cook together in one common fondue pot. Whether you are with a large group celebration or out for an intimate dinner for two, Fondue is special and different! Join us soon and get hooked! The Little Dipper is our Easter tradition. Always excellent! We were celebrating our anniversary and we were delighted. We were in a little cubby alone😍The waitstaff was great and the tuna was so scrumptious, We will tell our friends and will be back. It was fun giving out my notecards to the staff. Our group of four had a delicious and fun time at thr Little Dipper. Our waiter was so great and personable and explained everything so wonderfully. He helped make the evening so much fun. The food portions were perfect and we didn't go away hungry. This was a fantastic experience and we will definitely come back. We have been coming to "The Little Dipper" for a number of years and brought a couple who never came before. They enjoyed it very much and the leisure while eating. Loved it, great date night. Need to budget for it if you are in the income bracket that needs a budget, totally worth the money though!! The food was delicious. Our waiter helped us order and explained everything since it was our first visit. 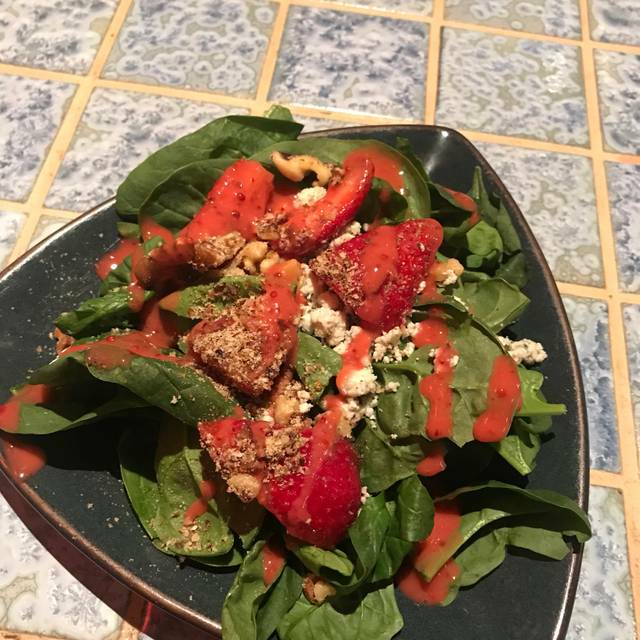 The meal took us two hours, but it was an incredible and relaxing night. Great service, really enjoyed the blackened scallops! Girls weekend....first stop, and it was amazing! The food and service was pretty good. Low value because things are fairly expensive, but definitely a romantic spot with a good atmosphere. Would go again for a special occasion. Went for ladies night. Food was delicious. 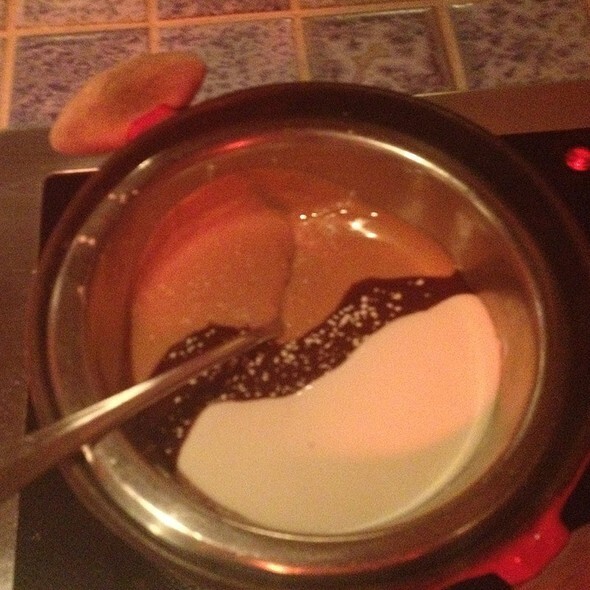 The Little Dipper is the most amazing fondue you will ever eat! That other place that I will not mention does it compare to The Little Dipper!! The owners the staff everyone makes you feel at home! It's always a pleasure to go to the little dipper and carrie is an amazing waitress!! It was our 4 year anniversary as a couple! Our waitress was very attentive and nice! We had an amazing time! Wonderful food, great service and a very memorable meal for our 12th anniversary celebration! Loved the Friday Date Night Special. We are excited to visit again soon! We had an absolutely wonderful night. Our server was perfect, friendly and cordial. The food was delicious, the pacing of the meal was great. The atmosphere was friendly and easy. They didn't make us feel like criminals for bring a baby along. It was a lovely time, and I can't thank the Little Dipper enough. Fun ladies night! The dippers for dessert were particularly good. I went there on Wednesday girls night. Don't feel like we have enough food for what we paid for. Little disappointed. We have dined here several times in the past and had positive experiences. This past visit lacked a little luster. The server was relatively proficient at his work but was not warm or friendly. It was also incredibly loud. It may be a while before we go back. We had an awesome experience. The staff was super. We will be going back. Been here with girlfriends and with my husband enjoyed both times! The service was friendly and the food was terrific. Went there on a Thursday (ladies night) and so got the four courses for $27. You can't beat that kind of value. Excellent experience at one of our favorite downtown restaurants! 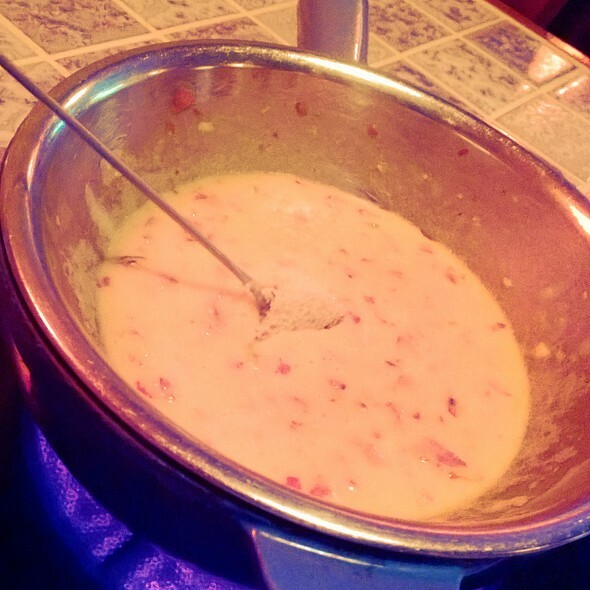 I wanted to lick the pot from the "blueda" (I think that's what it was called) cheese fondue. 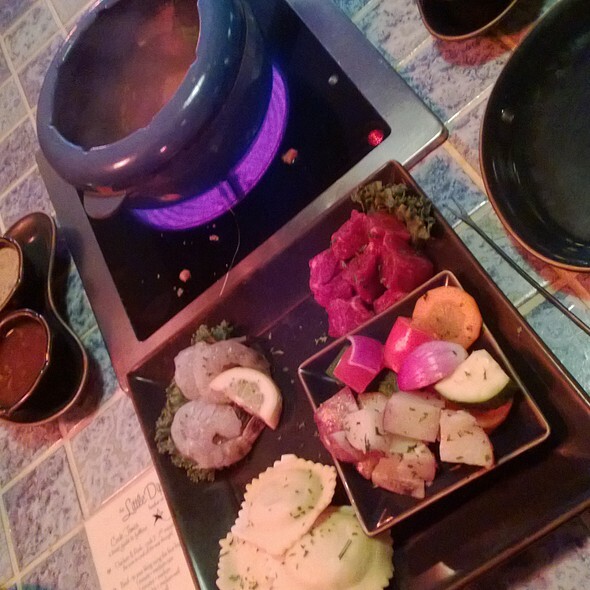 We had shrimp, beef, and chicken fondue and meats were tender and veggies fresh! Service excellent and attentive. Our only wish is that was more sound buffering. It is very noisy! Always a great experience! This was a 14th Birthday celebration! Wait staff was gracious and patient with our giggling table! Can’t wait to return. Great evening! Excellent food, server and atmosphere. Food delicious, service great. Wednesday night way too loud! The food, service, and ambiance at The Little Dipper has always been excellent! The quality of the food is superb! I’ve been here before multiple times and it was a bit disappointing this time. The food has lost some quality but it’s still good. The service was really slow and almost non existent from the waitress who was assigned to us. My date and I were always waiting for refills on our water and the waits were typically longer than 10 minutes. The ambiance was as expected as usual. The price though was a bit pricey considering how average the main course was. The service, atmosphere and food were all Amazon! Though it is pricey, it’s more of an experience than anything. We had fun and enjoyed eating at the Little Dipper. Will for sure be back. 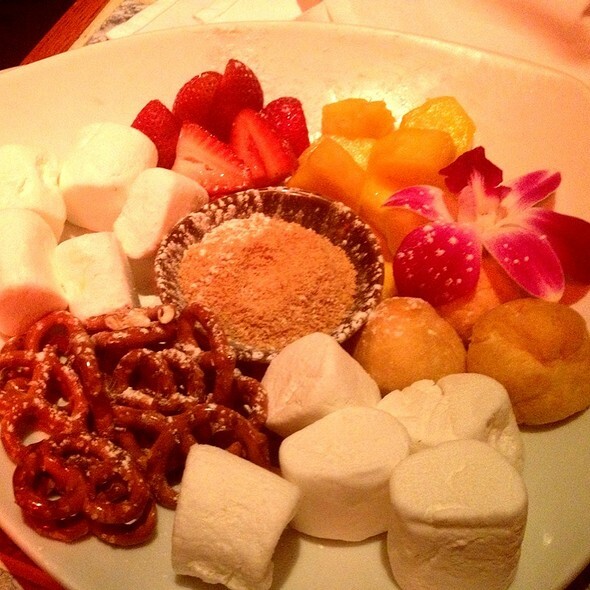 The fondue is delicious and the service is friendly and efficient. I would recommend this restaurant highly over chain type fondue restaurants which are not as good and much pricier. Very enjoyable dinner. 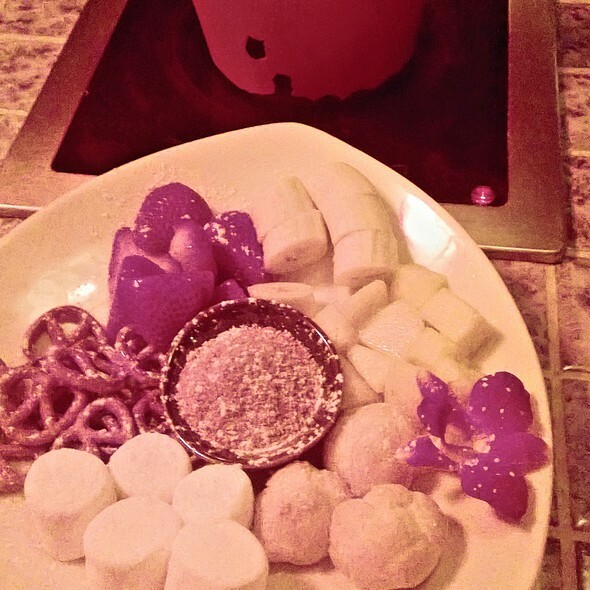 I am not a fan of Fondue restaurants but this was a very good experience and will definitely come back. Have already recommend to my friends and adult son and his wife. Service was also very good. Great choices and experience can’t wait to go back! Just wanted to thank The Little Dipper for making my daughter's 16th birthday celebration great! She and her friends had a wonderful time! And they said their waiter, I believe his name was Logan, was the best! Little Dipper is always my go to for date night or special occasions! One of my families favorite places in Wilmington to eat! Food and service are always wonderful! It is in an old building so it can be a little noisy, but it has never bothered us. Great place for a quick fondue or a celebration. Wonderful wine list! Quite place for a nice date night. Great food and good strong Irish coffee. The desert dippers are excellent. We have been enjoying dinners at the little dipper for over 10 years on special occasions. We always leave with full tummies and happy hearts. The wait staff seems hand picked, always personable and ready to make your evening memorable. It's a great restaurant, the food is consistently delicious. The ambiance is very nice but the room can get a little loud at times. It's a special spot and we will continue to enjoy it for years to come!